Stephen McNeill grew up in Cork city. His father was in the Garda Siochana, and his mother was born in Philadelphia, her siblings were wiped out by the Spanish flu and she and her parents returned to Cork. Stephen’s father was born in Curraghbee, between Athlone and Clonmacnoise, on the banks of the Shannon. 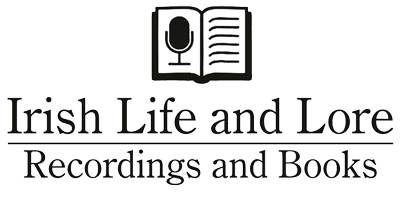 This recording focuses on the way of life in a place where hardship was prevalent. The families there included the Hunts, the Ryans, the McNeills and the Duffys, many of whom inter-married. People used boats continuously for their work. They were self-sufficient because of their isolation, but co-operated well. The population in the early 1900s was 61 people, but only one person lives in Curraghbee today.